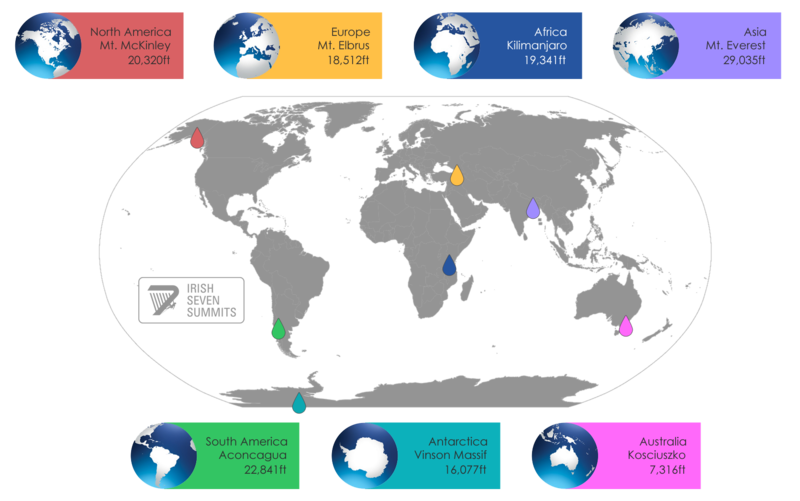 The mission is to climb the highest peaks on all 7 continents, known as the 'Seven Summits Challenge'. 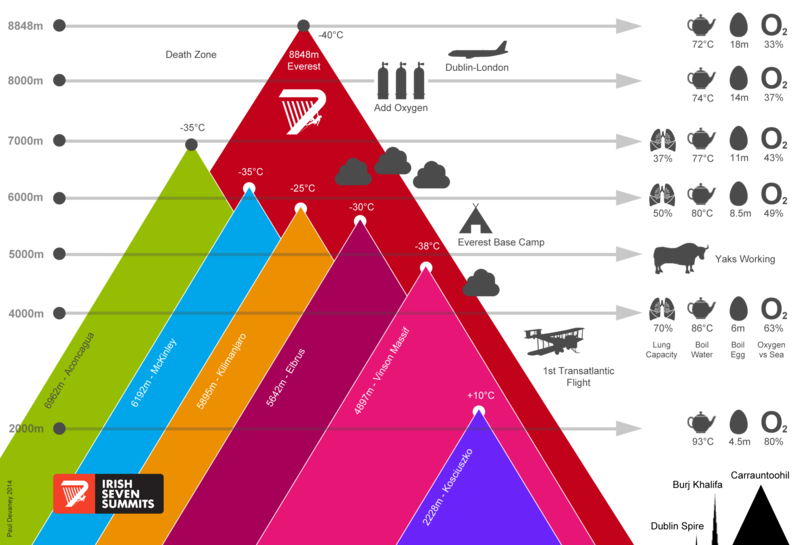 We are amateur mountaineers gaining the skill and knowledge through progressive climbing to achieve our goal. The idea of completing the Seven Summits challenge began with a trek to Everest Base Camp in October 2005. The 1st of the seven - Kilimanjaro - was completed in April 2007 and the project has been ongoing since 2007 with different climbers joining and leaving as circumstances allowed. Along the way we have also completed beginner and advanced Alpine Skills training courses in the Alps & Winter Skills training in Scotland as well as a series of training climbs in Austria, Switzerland, USA, UK, Ireland, Lebanon, Jordan and beyond, to expand our mountaineering skills & strengthen our expedition knowledge. 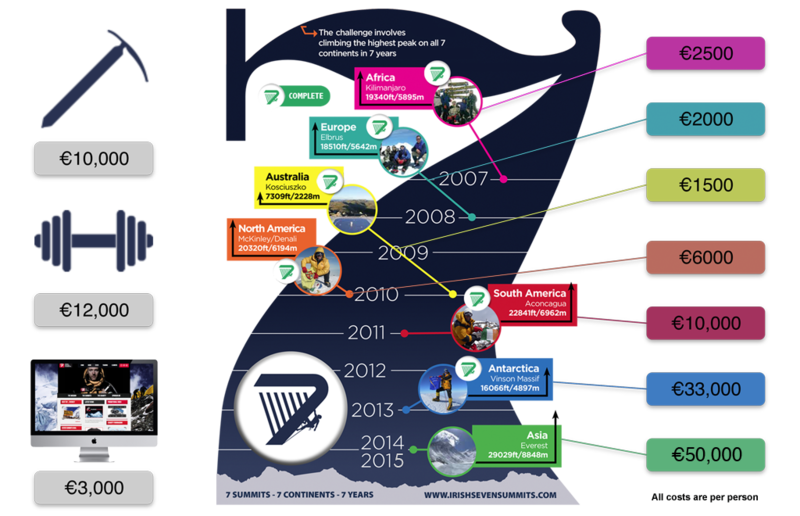 The Irish Seven Summits project was placed on hold after the Everest disasters of 2014 and 2015 where 35 people died across both years due to avalanche and earthquake activity while we were attempting Everest. Heading back into the mountains after the experiences of those two difficult years has proven tricky, psychologically and physically, but return we must & will. Planning is underway to make a return to the high mountains in 2019 and complete the mission in the early 2020's. Focus now is on building back up endurance and skill.